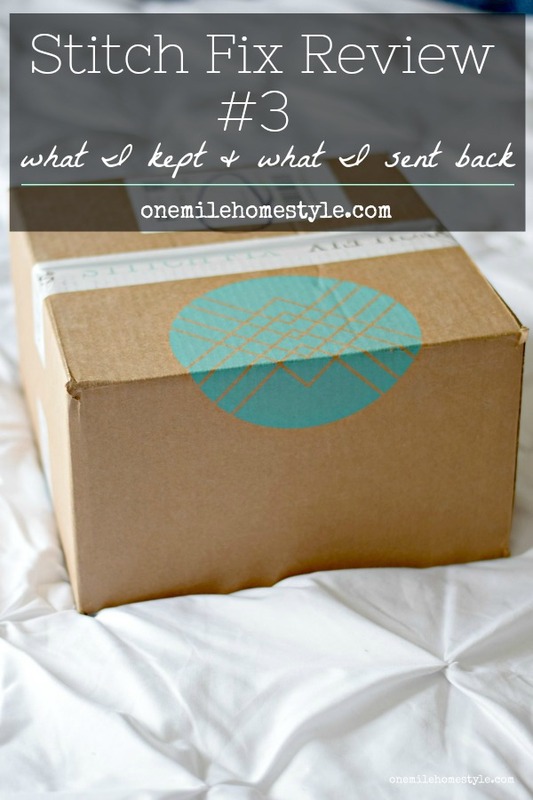 I was so excited to get my Stitch Fix box this month that I had to log into my account and get a sneak peek of what was heading my way! Currently I'm getting a fix every 3 months and honestly, the every 3 months schedule works great because I am getting a few new pieces for each season. 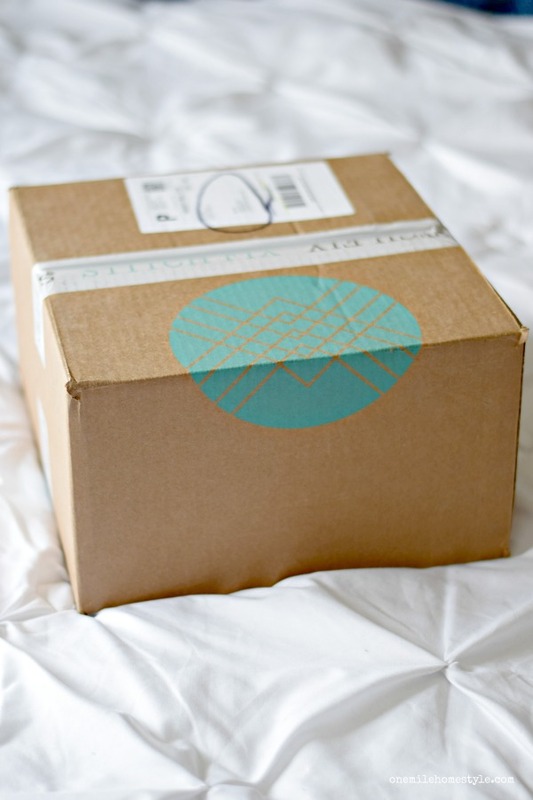 If you are on the fence about trying out Stitch Fix, I would totally recommend trying at least one box, it's such a fun way to shop and find new things! Other than filling out the style questionnaire and entering my sizes, I don't give my stylist any specific requests. It's fun to see what she thinks I will like, and they use your feedback from previous orders to pick out things based on your comments from past fixes. I did make a note after my last fix that I am looking for casual dresses that I can wear for work or everyday, and Allison my stylist did not disappoint! I love the color and floral print of this dress, and I love that it will be perfect and now and in the fall. For now, I can style it with cute sandals or wedges, and in the fall I can add leggings and boots and top it off with a denim jacket. Definitely keeping this! These two pieces are my absolute favorites! When I first saw these white jeans, I was disappointed and knew for sure they were getting sent back. Why? I have a major fear of white pants; I'm afraid I will get something on them, and I'm afraid if I owned a pair, they would just sit in my closet and never be worn. But guys, these fit so good, and they looked so good, that I am going to try to overcome my fear! Yep, keeping them! This top is the same brand as my yellow blouse from my last fix, and it has become one of my new favorite tops. This teal sleeveless version is gorgeous in person, and will very easily transition from work to fun. Also, the colors again make it a great piece for both summer and fall. Keeping this too! More white again! I think my stylist is really trying to push me out of my comfort zone with this month's fix. This top is a perfect layering piece, and the crochet detail dresses it up just enough. Since I don't have any white tops in my closet, this one gets to stay! Hello bright pink capris! These are so fun, and surprisingly, go with a ton of stuff I already own. So, while I probably wouldn't have picked these out for myself, the fit is great, and again, I don't have anything like it already in my closet, so these are a keeper too! Did you notice anything about this fix? I kept it all this time! This is the first time I have kept everything, and while it's not something I plan to do with every fix, it just goes to show, that the more you work with your stylist, and leave good feedback about the items you kept and sent back, the better they get! The key is to definitely be completely honest with your sizes and what you like when you are filling out your style profile. And when you are trying items on, be sure to try them with pieces you already own, it's a great way to find new staples for your wardrobe, and add fun new pieces too. They even suggest creating a pinterest board to show your stylist what types of clothing you really like, which is something I may do in the future. Stephanie!! I am so glad you kept the whole box because everything fits you to a tee and is SO flattering! I agree with everything you said about why you like this service. How nice that you now have five new items to grab from your closet for work and running around town that all look so incredible on you! Hooray for a successful box! Thanks Erica!! Everything was so perfect and I know I can wear it all multiple ways!